Particular graphical software solutions offer the possiblity to verify graphically created models in three dimensions. 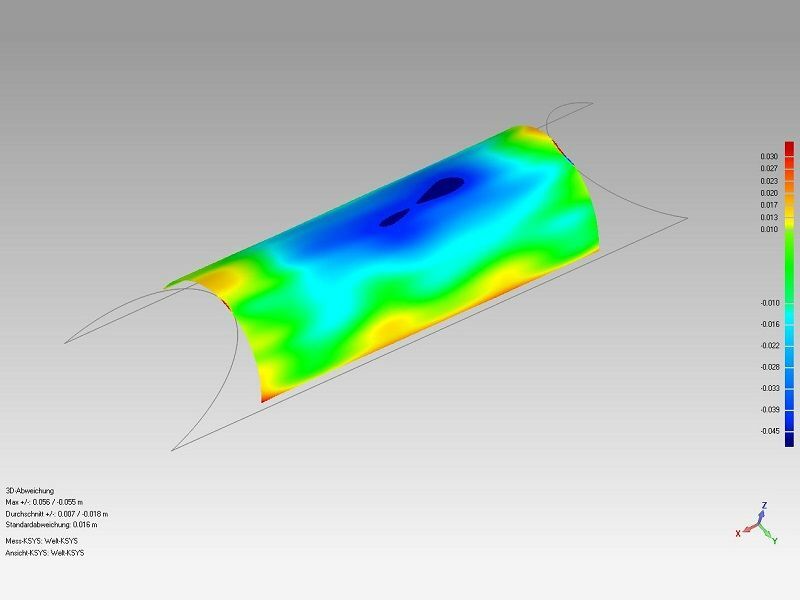 This can be done for example by virtually applying the model of glasses to the support surface of the surveying model of a ship segment. Another way is to compare different 3D models (surveying or fabrication models) with planning data (set-actual comparison). The result of the quality control can be presented in terms of colour or tabularly and documented in different manners. Therefore necessary modifications on the real object or the fabrication model can be determined and executed in time. 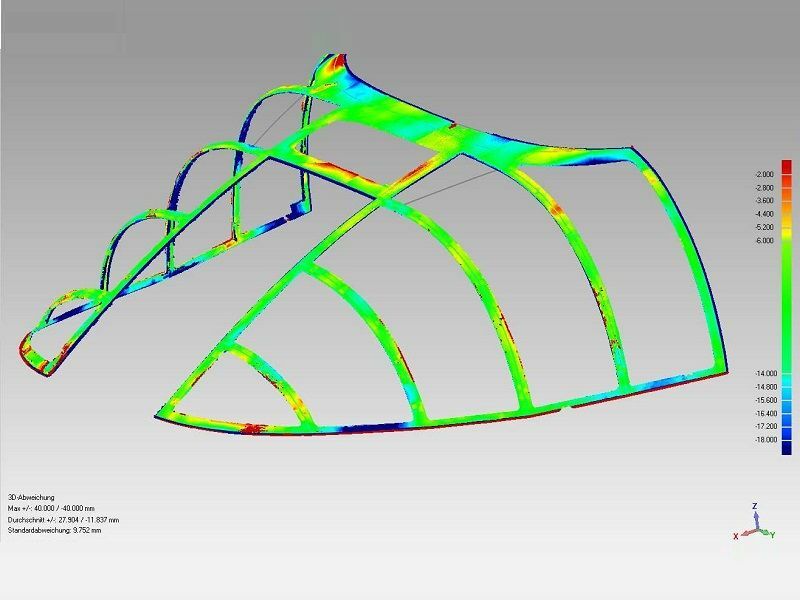 There are different possibilities to conduct product tests and comparisons: It is for instance feasible to compare the surveying models of different ship segments that are constructed in the same way. As a result an optimized fabrication model (of e.g. a combination of glasses) is developed that suits to more than one 3D surveying model (assuming approximately identical construction). This approach can save costs considerably. Apart from this there is a different application: the analysis of an object regarding deformations caused by exterior stress or interior influences. 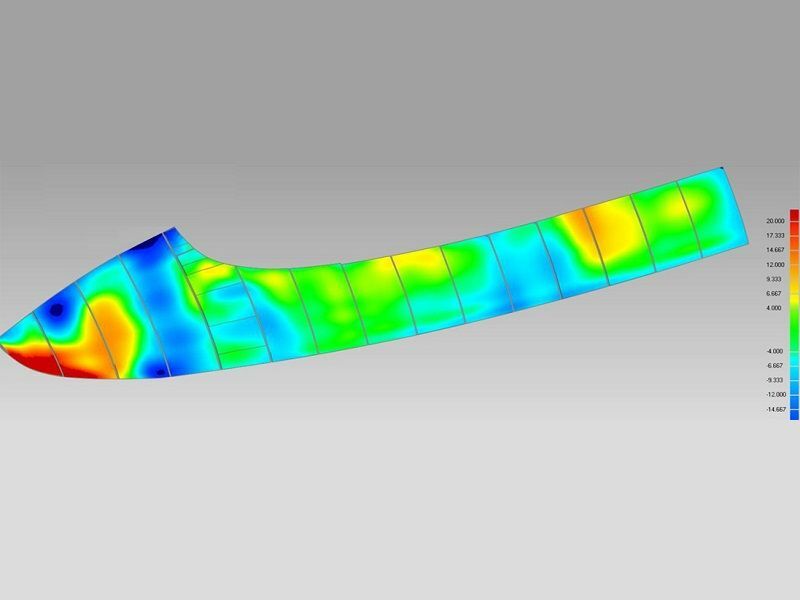 Deformation analyses enable the comparison of complex segments and other products from different epochs. Variations (deformations) between two different states can be depicted and documented.